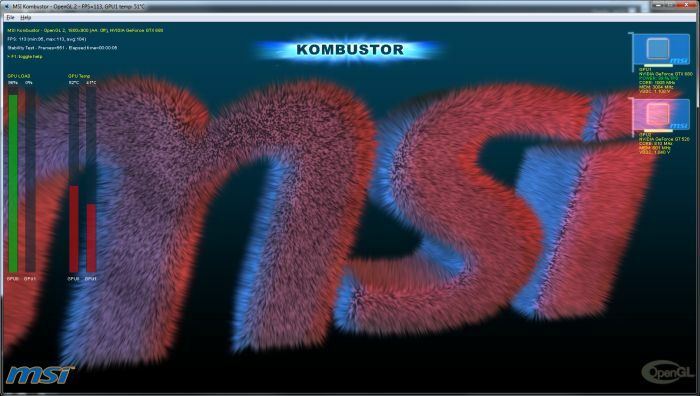 MSI Kombustor has been updated to version 2.5.0. 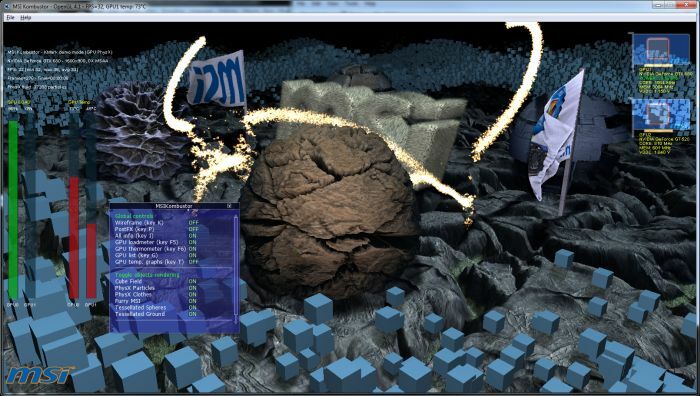 This new release includes a new 3D test, updates Kombustor loader for Windows 8 (KLoaderWin32.exe) and takes account the offsets for core and memory clock speeds on GeForce GTX 600 series. The latest version of GPU Shark has been embedded too. 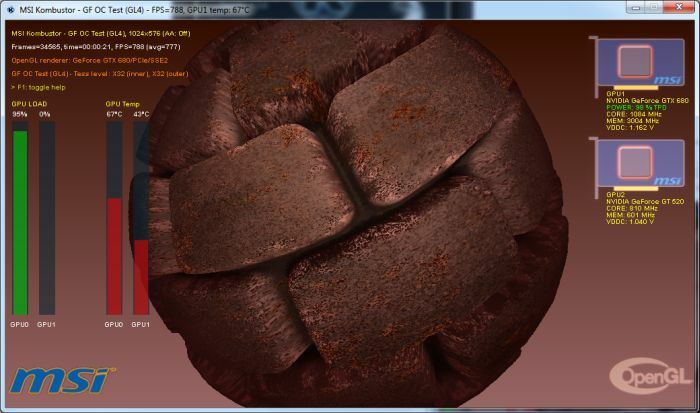 The new 3D test, called GF OC Test is a simple OpenGL 4 tessellation test for quickly checking the OC settings of a GeForce GTX 600 card. Indeed, if the GPU core clock is too high, this new test fails immediately (and you have to kill it with the task manager). TessMark or Ungine Heaven behave the same way. PhysX + tessellation + geometry instancing test is in all-yellow color. I think it is pretty silly to only utilize one GPU for testing when there is two pressent. By only using the first GPU in benchmarks instead of spreading the load on both GPU’s like it should be you will not get an accurate benchmark of the systems preformance. 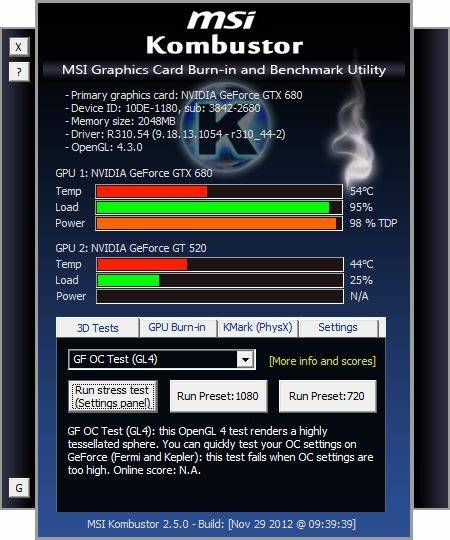 Kombustor doesn’t seem to care if you set your PhysX to CPU, or one of the GFx cards, it dumps every PhysX calculation to CPU no mater what, wich allso gives a completely wrong system benchmark. Check the settings in the Nvidia drivers, that can’t be to difficult.